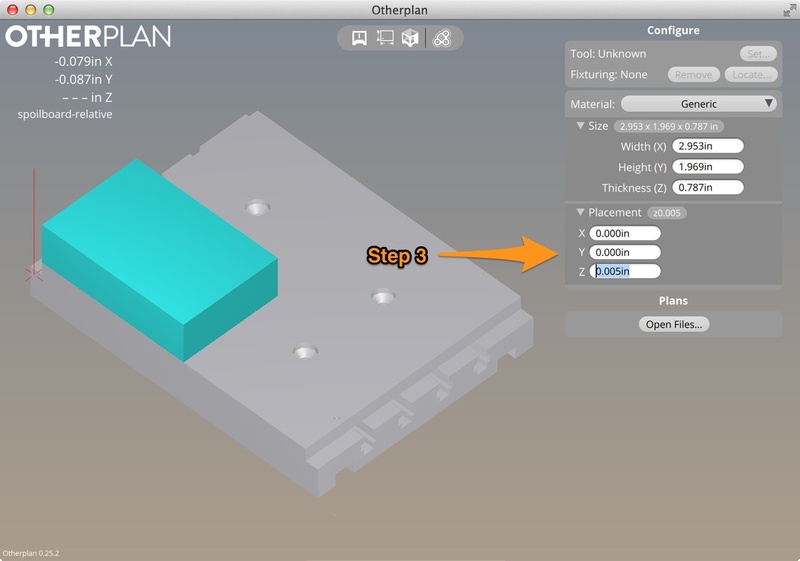 Before milling a project, you need to tellBantam Tools™ Desktop Milling Machine Software the size and position of the material you’ll be milling. This requires that you first measure the dimensions of your material. We recommend using a pair of digital calipers. Once you’ve done that, you’re ready to set up your material in our software. 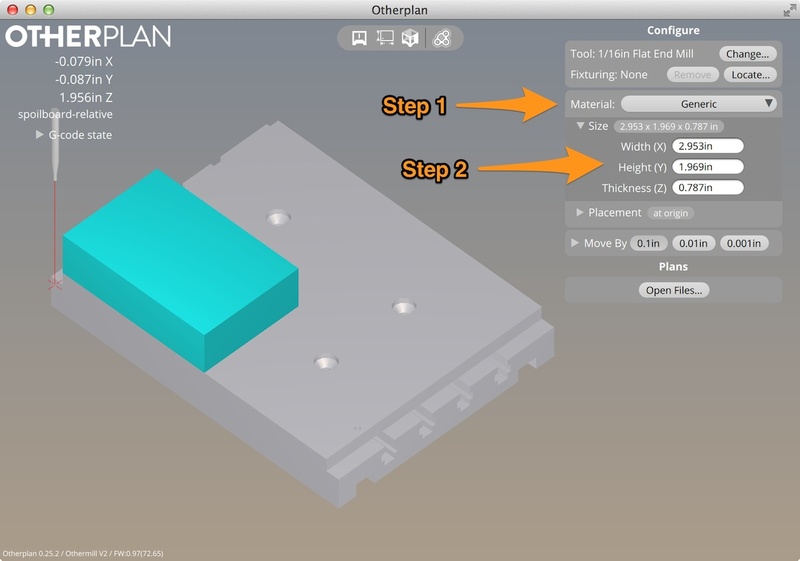 This guide shows you how to set up your material in software. Choose a material from the dropdown menu. If you’re milling PCBs, choose Single- or Double-Sided FR-1, otherwise choose Generic. Click the Size panel to expand it, then enter your Material Size dimensions. Make sure to use digital calipers to measure the Thickness (z) of your material. Enter this value in the Material Size Thickness (Z) field. It is very important to measure the Thickness (z) of each piece of material being used, as thicknesses can vary and an incorrect value entered into software can cause bits to break or dull prematurely. Next, enter the Material Placement. If the lower-left corner of your material is placed at the lower-left corner of the spoilboard then the value for X and Y should be zero. For Material Placement, in the Z field we will put the thickness of the fixturing tape being used. If using Scotch double-sided tape, the thickness is usually around 0.003". If using High-Strength Double-Sided Tape, then the thickness is usually 0.007" to 0.008". Either way, it's best to measure the tape yourself, as tape thickness can vary. That’s it! You’re ready to import files and start milling.